$40 Discount on package of 4 Oud lessons via Skype. 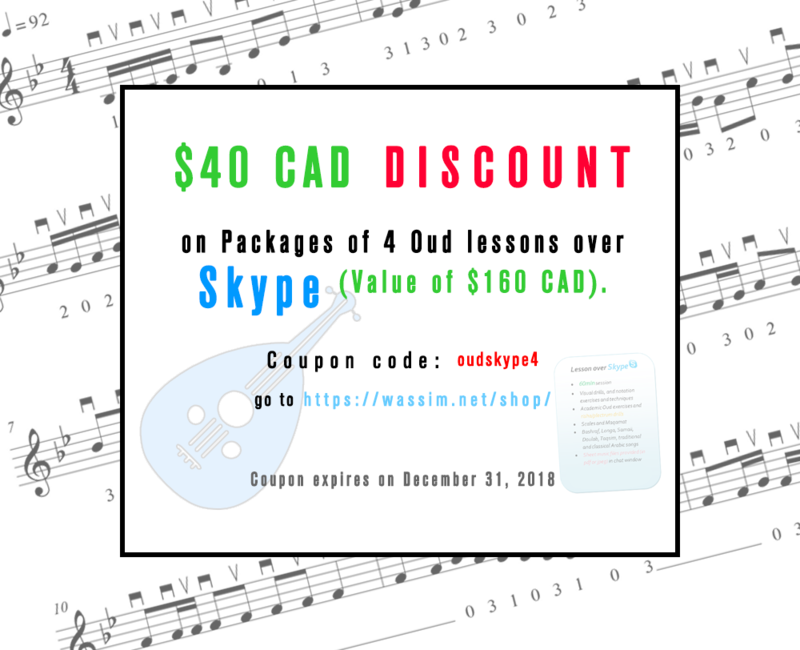 $40 Discount on a package of 4 Oud lessons via Skype. 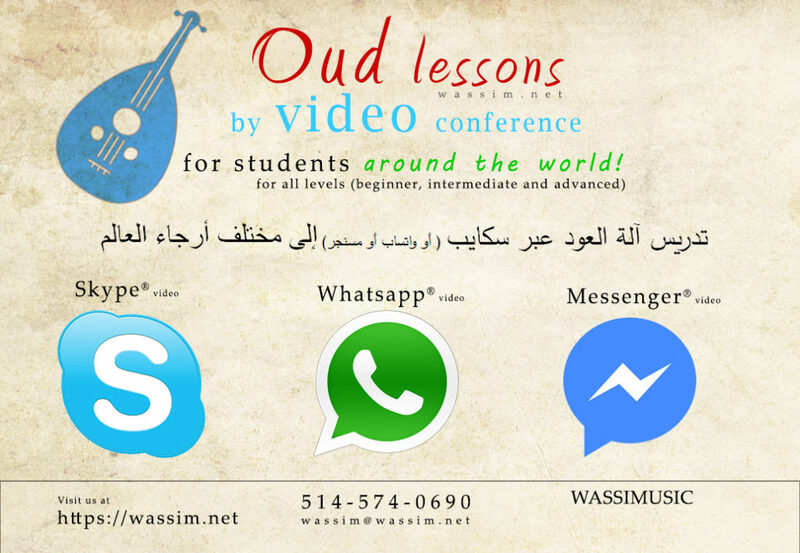 Visit https://wassim.net/shop/ – Add the 4 Oud lessons package to your shopping cart and apply the coupon code “oudskype4” before you complete your transaction. You can also now schedule your Oud lessons directly on the website!